We welcome rockers between ages 4-9 for this camp. 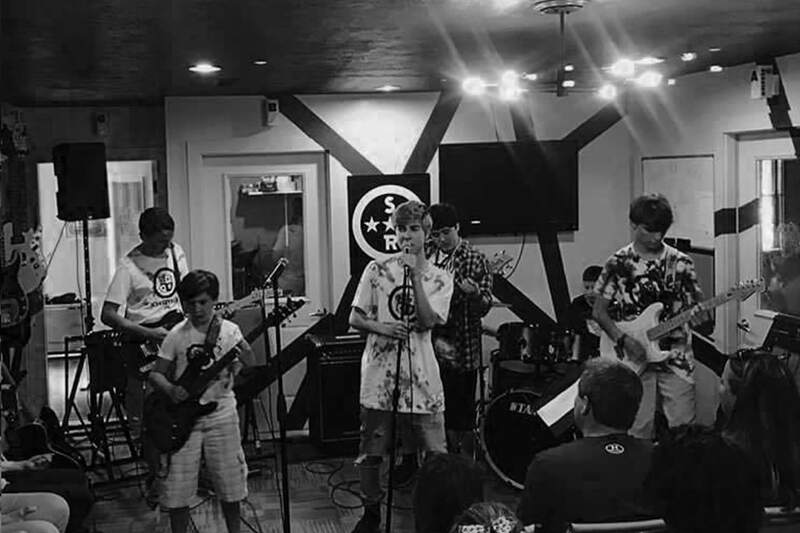 We have 3 sections:Little Wing - Ages 4-5Rookies - Rookies 6-7Rock 101 -8-9Summer School of Rock Camp is for beginners 4-9 years of age with no experience needed! Students will explore their instruments through musical games and activities It combines our core philosophy of performance-based music education with a unique curriculum designed for kids with no previous musical experience. In one week we get young musicians up and playing on their instrument while being with a band in a positive and fun atmosphere! Young rockers learn pitch, rhythm, and musical teamwork through musical games and group rehearsal of simple rock songs, all while learning about different instruments. Your child is sure to gain an appreciation for music! Participants must bring a sack lunch and any snacks they might need. Cancellation policy A 50% refund will be offered on cancelled camps up to 15 days prior to the camp start date. Cancellations within 14 days before camp are not eligible for a refund. $229 -June 24-June 28 - 9am - 1pm M-Fri - Pick up is at 1 pm sharp, please.